Join CT NOFA on Saturday June 2, 2018 at 6:30 pm in Norwalk to celebrate bees, butterflies, and local organic farmers who provide pollinator habitat on their farms. Special Guest speakers include farmers Bill Duesing (CT NOFA founder) and Dina Brewster (The Hickories)! ... Plus other guests for a tell-all all about Connecticut's new anti-pesticide laws and CT NOFA's new three-year project enhance pollinator habitat and soil health on Connecticut Farms. 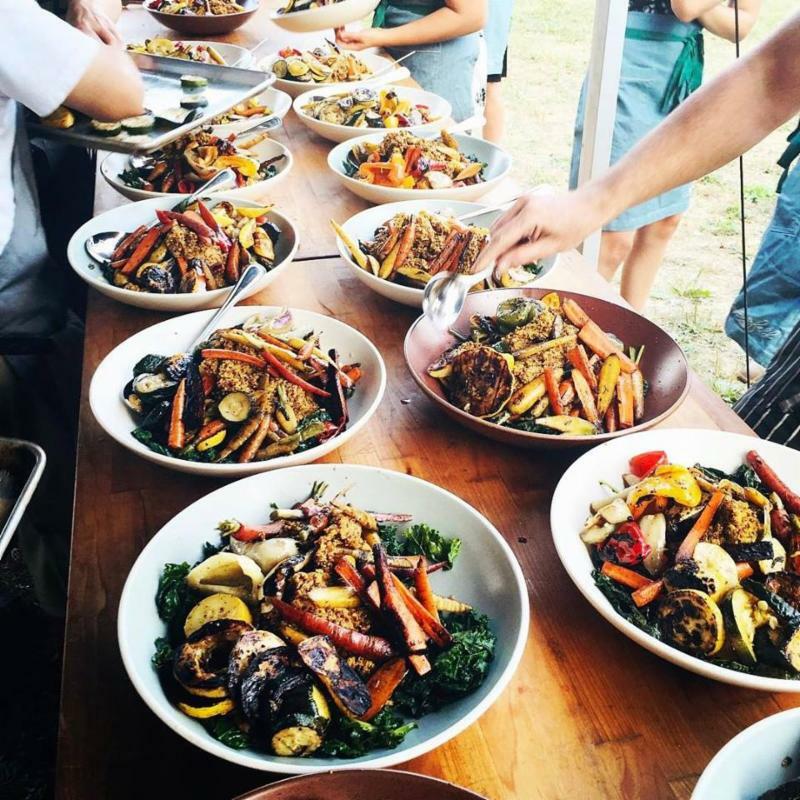 Our fine meal by Executive Chef and Sugar & Olives Owner Jennifer Balin will feature a wonderful selection of local, organically-grown produce harvested to achieve maximum nutritional value. Menu below can accommodate all dietary needs. Just let us know. All Funds Raised Will Support CT NOFA's Farm Pollinator & Soil Health Initiative for 2018-2020. Come learn about it on June 2nd! Ingredients for the Farm Pollinator Dinner will come from these and possibly a few other fine local farms. Come enjoy their fresh offerings on June 2 at Sugar & Olives in Norwalk! WON'T YOU JOIN US? USE THE "OVAL BLUE REGISTER BUTTON" AT TOP OF PAGE. John Voket and 99Dollar DJ & Entertainment Services. Thank you, John!